SNOW HILL — As one season ends, another one begins for area athletes. 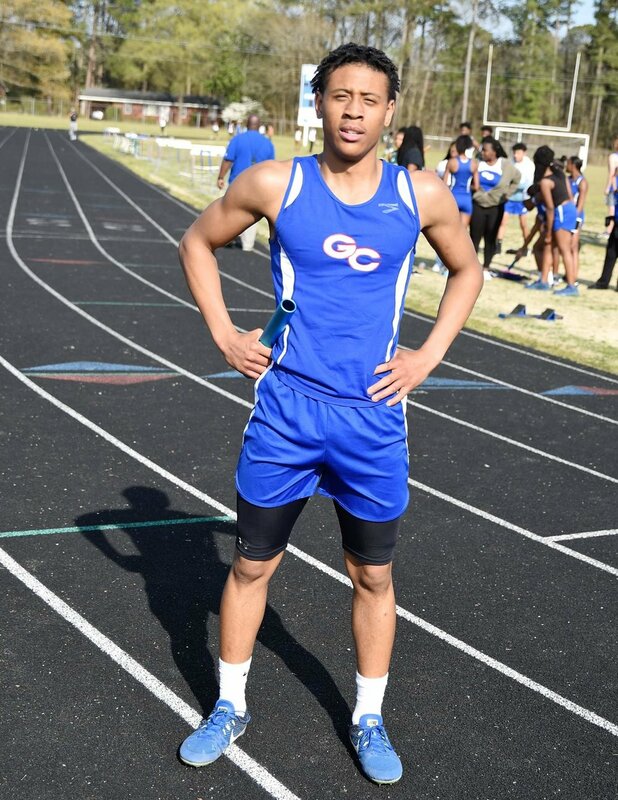 Greene Central hosted a conference meet with Ayden-Grifton and Kinston Thursday, and dozens of athletes in other sports participated in the events. Rams’ football and basketball player Saquan Connor was among those who participate in numerous sports, but also runs the 100-meter dash and 4x100 meter relay for Greene Central. “Basketball really helped me out conditioning-wise, so running these races are a little easier,” Connor said. Kinston’s Will London said other sports helped him out in track. London played basketball for the Vikings and plans to add football to the schedule in the fall, but also participated in the 100 and 200 meter dashes, 300 meter hurdles, 4x100 meter relay and 4x200 meter relay. For Ayden-Grifton volleyball standout Aaleyah Garris, it helps to have versatility. Garris runs the 300 meter hurdles, 400 meter dash, 4x400 meter relay and high jump and said there are several benefits.